Create a flower garden with season-long blooms by planting varieties of flowers known to continue blooming from spring to fall. Although most perennials have a short blooming period, some newer varieties of roses, especially shrub-type roses, bloom continuously all season long. Another best bet for continuous bloom are annual flowers. Although all annuals bloom abundantly, many varieties prefer hot weather and will not bloom until summer is well underway. Some types of annuals are indifferent to cool temperatures and will begin blooming right away in spring, continuing until killed by frost in autumn. Old-fashioned roses (Rosa spp.) bloom once a year in spring, but newer hybrid varieties are available that bloom either continuously or sporadically from spring until killed by freezing temperatures in fall. Continuously blooming roses are available as hybrid teas, which require pampering by the gardener, or as shrub roses, requiring no more care than most other types of flowering shrubs. Everblooming shrub rose varieties make excellent border hedges and are often seen lining the sidewalk frontage of urban yards. Available in red, pink, orange, yellow and white, ever-blooming roses are usually winter-hardy shrub-type roses that are grown on their own roots. Many are extremely hardy even in the northernmost areas of North America. Some varieties may experience winter die-back in extreme winters, but their roots will live on and the plant will regrow the following spring. Hybrid tea roses are the same type of rose sold as cut flowers by florists. They require spraying and much coddling by the gardener in order to grow their showy flowers. Hybrid tea roses are most often grown in a specially designated rose bed, because of their requirement for more water than any other type of flower and their demanding cultural requirements. Literally hundreds of varieties of hybrid tea roses have been developed, with new varieties introduced every year. They require winter protection in most areas of the country and are susceptible to a wide range of pests and diseases. A widely planted flowering annual, small, purchased marigold (Tagetes spp.) plants are usually already in bloom when you set them out in the flower garden. As long as you continue to remove their spent flower heads, they will bloom all summer. Although considered a tender annual, marigolds will survive several light frosts and are often one of the last annual flowers still in bloom at the end of the growing season. Marigolds have been selected and hybridized so they are now available in a wide range of heights and either single or double flowers. The colors of their flowers are in the yellow, gold, orange and rust families, with some varieties bicolored. 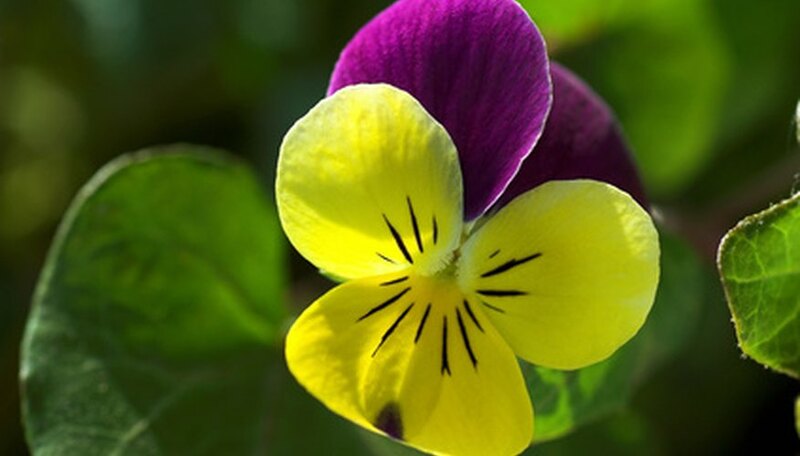 Developed from the wild violets (Viola odorata) that bloom in lawns every spring, violas (V. tricolor or V. cornuta) are also the flower from which cultivated pansies were developed. Violas are slightly more heat-tolerant than pansies and will bloom all season long if kept well-watered and protected from the intense summer sun. After their initial flush of spring bloom, shear the plants back so they are about 3-inches high and they will begin blooming again within a week or two. If they begin to look a little leggy during the heat of summer, give them another haircut to revive them. More and bigger flowers will grow in the cool weather of fall.